What a transformation! 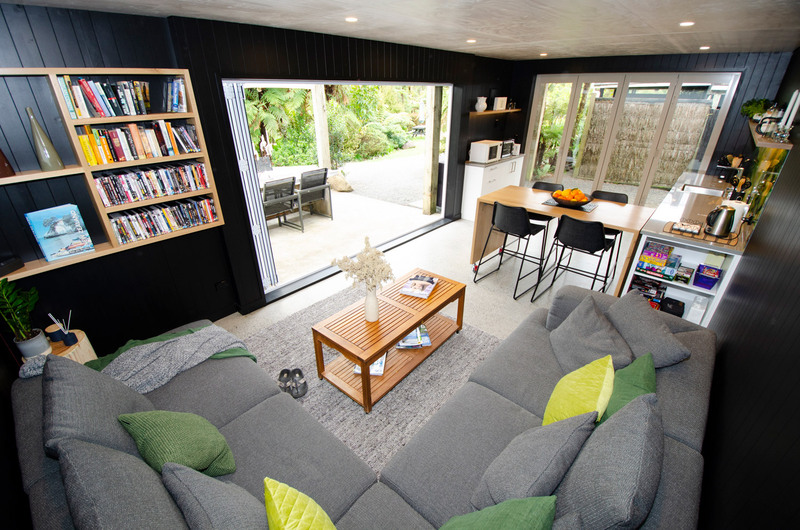 Wairua’s guest kitchen & lounge area is now a bright, modern, well equipped space just bursting with “rainforest chic”! 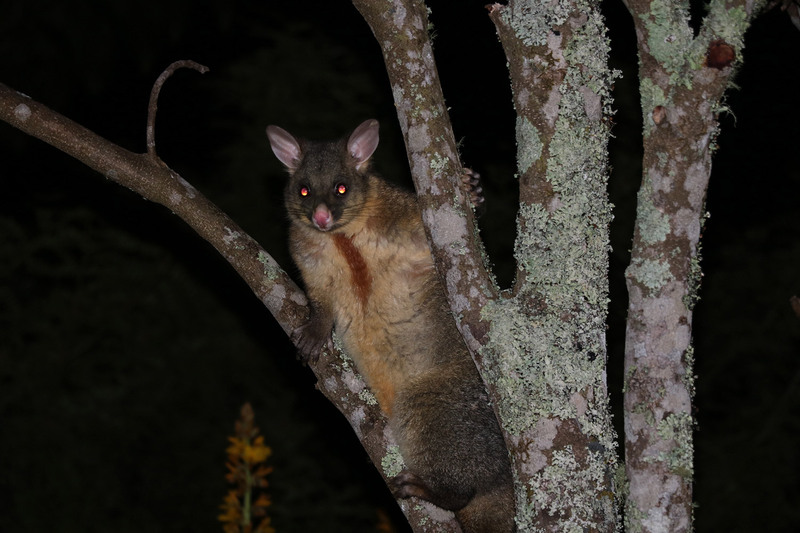 Sure, possums are cute… but they do a lot of damage to our native forest by eating all the tender shoots and berries and clawing their way up the tree trunks – not to mention their hunger for native bird’s eggs and chicks. Carve your own personal holiday souvenir! How would it be when you come home from your New Zealand holiday with a necklace that you had carved yourself! 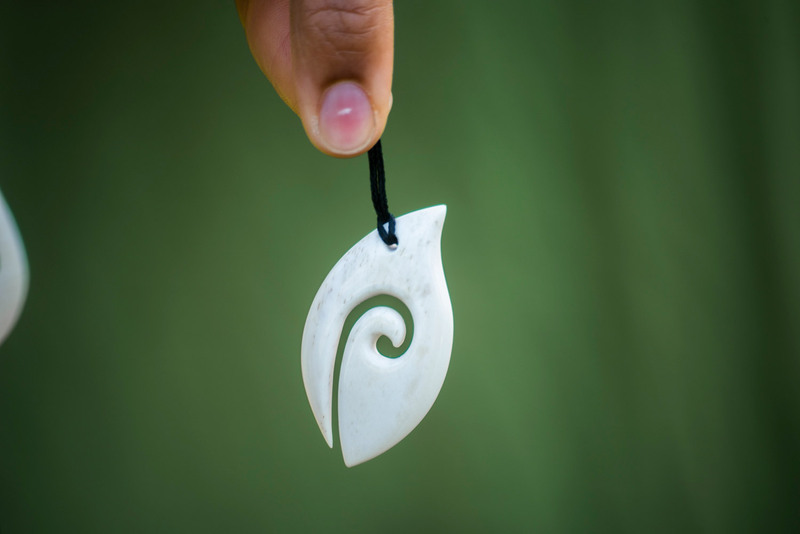 Seize the oportunity when you are staying at Wairua Lodge and take part in a bone-carving course at Baycarving-Studio in Whitianga (15 minute’s drive from the lodge). 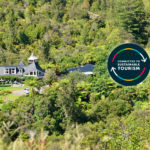 The nights in Wairua Lodge are pitch black – there is no light pollution here, where the Waiatekatanga river runs through the valley surrounded by the thick forest of the Coromandel Ranges. The stars of the southern cross can be seen so clearly it seems you could reach out and touch them. 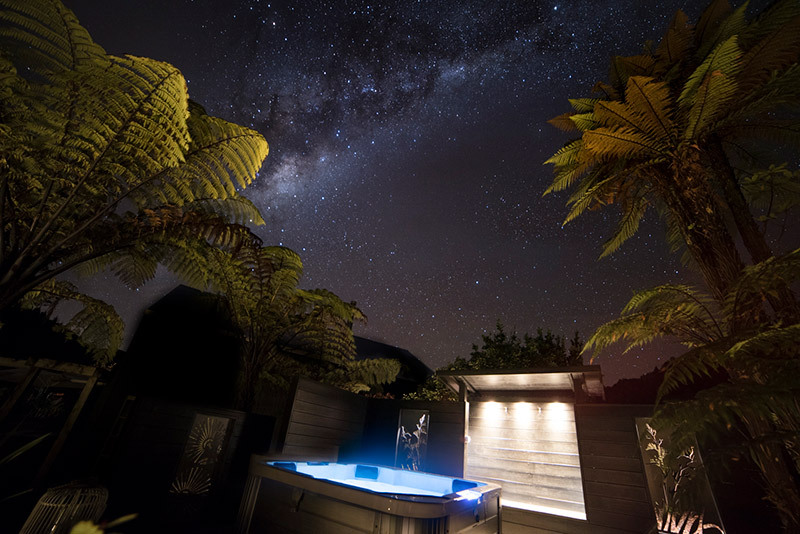 One of the most beautiful spots to experience the starry sky is in our newly installed „Night Sky Spa“. 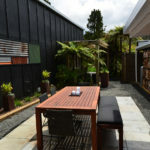 Over the past couple of months we have been working hard on our new garden project. The aim was to set up a permaculture inspired garden with a greenhouse, fruit trees, chickens and bees. 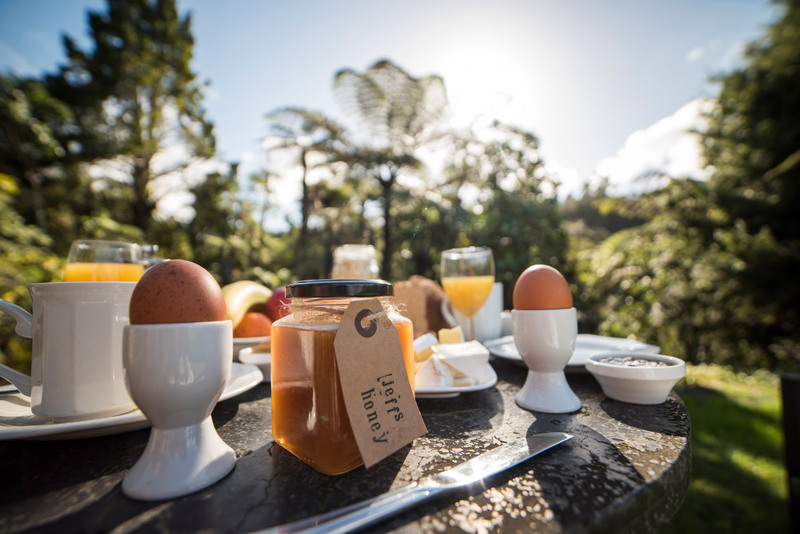 During your stay here at Wairua you are free to help yourself to our seasonal products in the garden and we offer delicious bush honey as part of the breakfast selection. 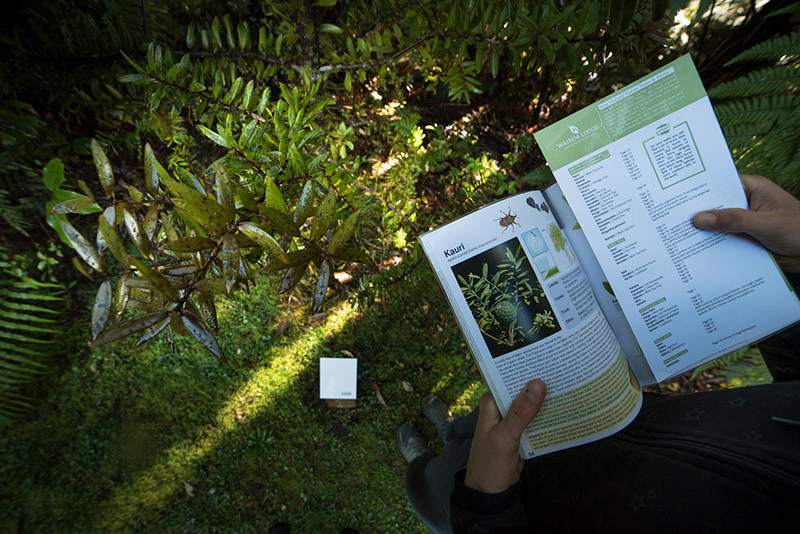 Kauri, Totara, Rimu and Kawakawa – all endemic New Zealand trees. What do they look like and how high do they grow? You can find the answers to these questions on our rainforest trails. 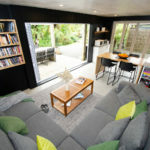 Our guest kitchen & sitting room is a popular meeting place for our guests. We would like to increase the comfort and functionality of this important space and are planning to renovate the room by rebuilding the kitchen/dining area as well as the sitting area to enable our guests to get together in comfort for a drink, a chat or a fun games evening. We will be replacing the existing plastic screens with sliding doors for added warmth and comfort in the colder winter months. The positive feedback we have received on a number of online platforms has made us very proud. It has also motivated us to continually assess our product and services to adapt to changing needs and expectations. 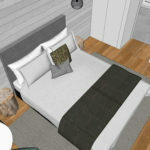 One huge milestone on our journey will be the renovation of our accommodation. 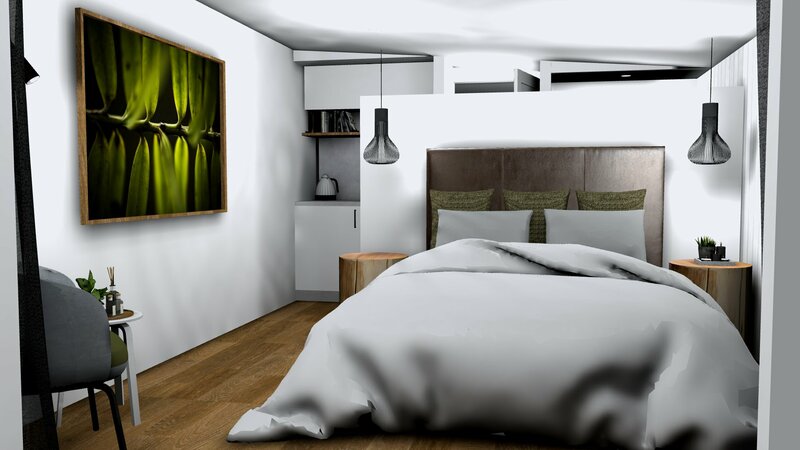 It is our pleasure to advise you that we plan to completely renovate all of our rooms during the winter months of 2019 and will start the summer season 2019/20 with newly renovated rooms. World-Wide Opportunities on Organic Farms (WWOOF) is a network that allows young travellers to help out at farms and organisations in return for food and board. As we had planned lots of jobs over the winter months, using „Wwoofers“ was an ideal solution for us. We had helpers from Germany, France, Hungary, Australia, Austria, USA and Switzerland who gave their all to help us and were able to achieve unbelievable results. Thanks again guys and girls! 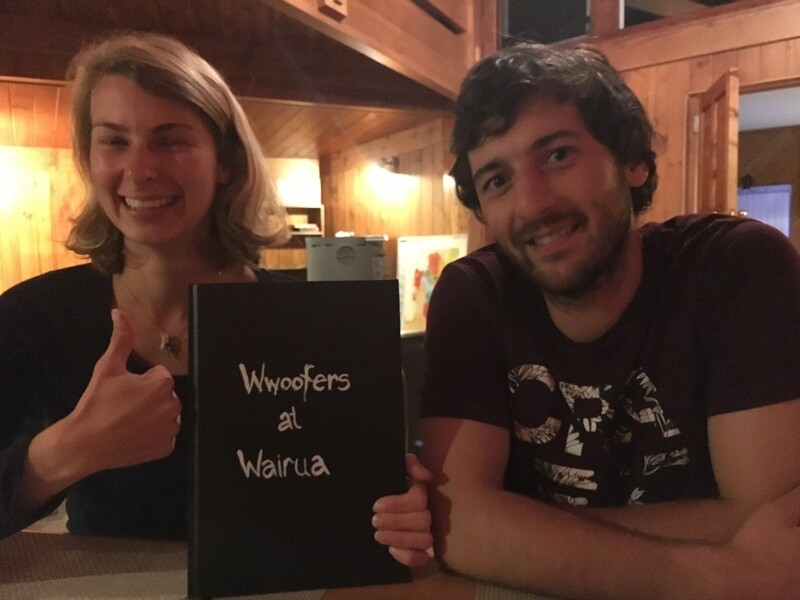 Apart from their active help, the Wwoofers also brought new insights and inspiration into Wairua which we really enjoyed and appreciated. 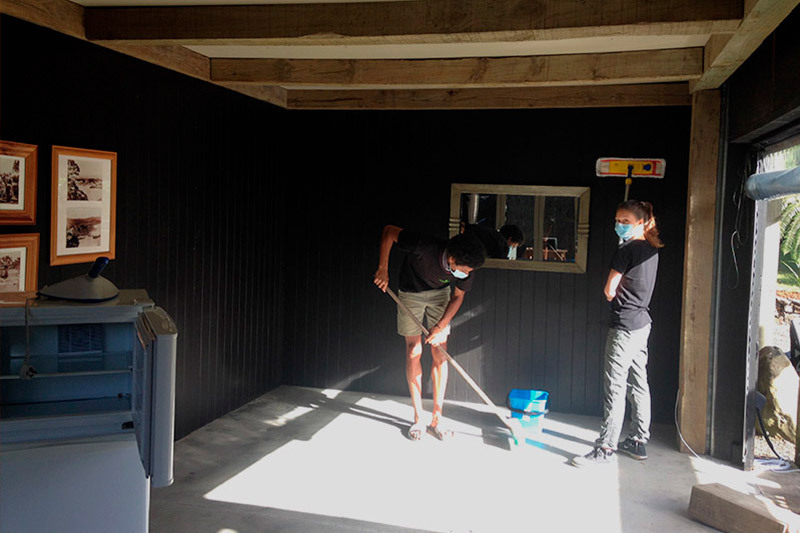 An exciting collaboration came about from a chance meeting at the local market in Whitianga between Debbie & Ernst and the local soap maker Lisa Peehikuru. Since that meeting, Lisa has been creating 100% natural soaps for our guests made from Kawakawa and Manuka (both native to NZ) which are totally hand made, piece for piece, and covered in a «jacket»of felted wool. 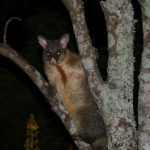 The plants and bushes that Lisa uses for her lovely smelling soaps have natural healing properties and come from the forests of the Coromandel Peninsula. We are proud of our partnership with Lisa and her Soap+Native collection!